Tyler and Kortney are two of the sweetest people I know. They are so kind hearted and pleasant to be around. Bear Creek was awesome that day with the exception of the lantern bugs that seem to have infested all of Macungie in September. Kortney looked incredibly stunning and during their first look, it was one of the most emotional moments I’ve ever captured. 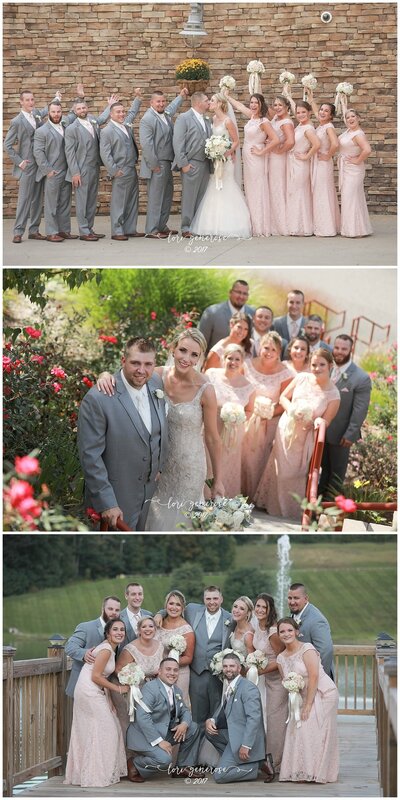 Their bridal party was so fun and the two of them are up for anything including roaming the property looking for photo ops. The reception was decorated so beautifully, quite frankly very similar to how I would decorate my reception if I were getting married today. Even though the day was slightly crazy for me on my end, the bugs, dropping my camera and lens on the concrete and my assistant falling in the mud... I still wouldn’t trade anything for that day because being there to witness their vows is why I do what I do and I was honored to be part of their day. I love their photos and I love the two of them. To the Kemps, I wish you nothing but every happiness there is in this world!